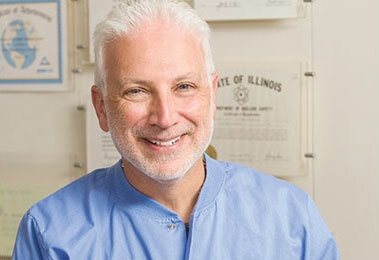 Snoring / Sleep Apnea - Chicago | Benjamin S. Fiss, D.D.S. Although snoring seems physically harmless, it can be a “red flag” for a much more serious and sometimes fatal condition called Obstructive Sleep Apnea. Chronic Sleepiness, Strokes, Heart Attacks, Heartburn, Morning Headaches, Depression, High Blood Pressure, Impotence. The Thornton Adjustable Positioner ( TAP ) is based on the same principle as cardiopulmonary resuscitation, CPR. The airway must be opened to allow air to pass through the throat. A constricted or collapsed airway causes snoring or sleep apnea. When the jaw opens and the tongue falls into the back of the throat, the airway narrows forcing air through the small opening. This creates vibrations in the throat known as snoring. A diagram showing the effects of sleep apnea and the benefits of TAP. Obstructive sleep apnea occurs when the airway completely collapses, blocking airflow into the lungs. The harder one tries to breathe, the tighter the airway seals. This airway obstruction persists until the brain partially awakens the person. Unconsciously, he/she will close the jaw returning the tongue and throat to a normal position. The sleep apnea cycle – falling asleep, jaw relaxing, airway collapsing, unconsciously awakening with a gasp, falling back asleep – can repeat itself 50 or more times per hour during the night. With a blocked air passage, one does not receive enough oxygen. Both the awakenings and oxygen deprivation can then trigger other health problems. Free at Last and Quiet Too! There is a new solution available to those who snore or have sleep apnea. 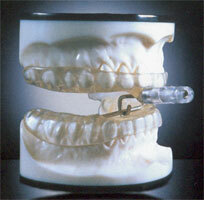 The TAP’d, an oral appliance similar to an athletic mouth guard that is worn while sleeping. Developed with advanced technology, the TAP reduces sleep apnea associated health risks without the need for surgery, medications, or other more cumbersome therapy. If you’re interested in this procedure, please contact us to book an appointment. We are also happy to assist you with any questions you may have.